The TechNation Webinar Wednesday series continues to provide some of the best free education available to HTM professionals as proven via reviews from actual webinar participants. The recent UMRi-sponsored webinar “Nuc Med 101 – A Technical Perspective” was eligible for 1 CE credit from the ACI for those who tuned in to the live presentation. A recorded presentation is available online. The webinar, which was attended by 264 individuals, received a 4.2 rating with 5 being the best possible rating. The 60-minute webinar featured Universal Medical Training Support Manager and IT Manager Mike Hill. 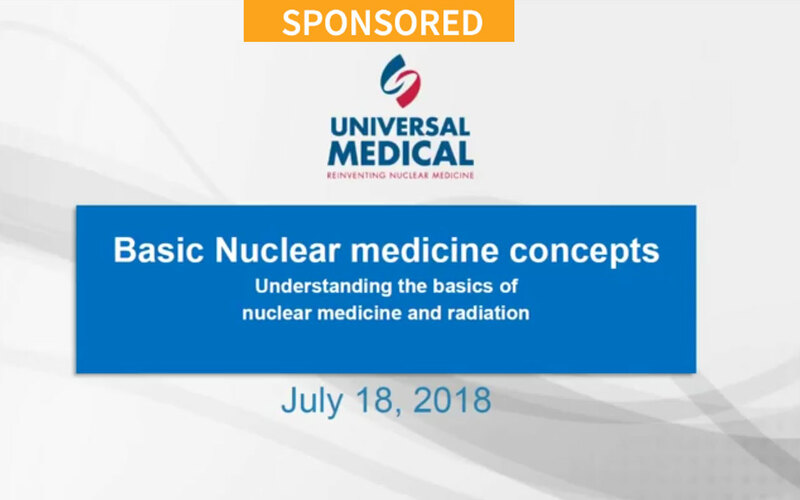 He started with the basics by answering the simple question “What is nuclear medicine?” He followed up with a look at radioactive material concepts, fundamentals of diagnostic and therapeutic nuclear medicine. He also compared nuclear medicine with other imaging modalities (CT/MRI/X-ray) and discussed gamma cameras. Universal Medical has nurtured a business philosophy founded on offering comprehensive nuclear medicine equipment services at a reduced price. Universal Medical’s products and services include, new and reconditioned nuclear imaging systems, quality parts, excellent equipment service, training courses for health care technology managers, camera system moves, technical and clinical support, flexible financing options, and more. Visit www.uni-med.com for more information. Attendees shared testimonials in a post-webinar survey in which they applauded the session and the overall webinar series. “This was my first Webinar. I learned a lot from this session. This was very informative and supportive for the people that are working in this field. Mr. Michael concluded a lot of the information and data in very short duration. He is an expert in his field. Thank You,” said S.Shah, a field service engineer in Pakistan. “This presentation was great for providing basic fundamental knowledge for HTM professionals who don’t have any experience with nuclear medicine technology,” Staff Biomedical Engineer B. Tellis said. “This webinar was a real good overview of the basics, looking forward to part two, Senior Biomed M. McLain said. “It’s always a pleasure listening to the Wednesday Webinars, bravo,” Senior Biomed M. Wujek said. “Enjoyed the seminar. It was helpful and informative. I will pass the info on to the other technicians in our shop,” said G. Allen, BMET. “Great information, concise and instructor made it easy to follow,” Director of Biomedical Engineering R. Coombs said. 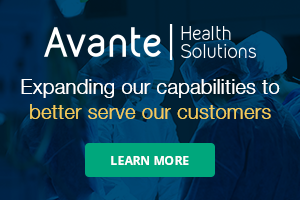 “Good scientific background on the terminology one will be exposed to in a functional imaging department,” said R. Larkin, principal, Larkin Consulting. “I felt the seminar was a excellent introduction to nuclear medicine,” said G. Myers, manager of biomedical imaging services. “Excellent presentation leading to basics of nuclear medicine gamma camera imaging. Evokes a lot of interest amongst budding imaging support FSE entrants,” Director of CTM M. Janakiraman said. “Wonderful way to increase your knowledge and get CEUs in the process. These are a must for the older technician,” Senior Biomed Technician W. Hallman said. “As the newest member of the clinical engineering department, the Webinar Wednesday series has provided much needed information and insight into starting my new professional path into nuclear medicine,” Field Service Specialist P. Garcia said. “Webinar Wednesdays is a great way to supplement the struggles of continuing education. It is a major factor in helping technicians grow in the field and learn of topics that they may not get daily exposure to,” BMET Supervisor E. Clark said. “This was the best webinar I ever attended. The presenter was very knowledgeable and prepared,” Clinical Engineer M. Mappes said. “Although I don’t work with nuc med yet, this Webinar Wednesday was informative and helped eliminate some reservations I had about working with nuc med equipment,” Biomed R. Marek said. “I think Webinar Wednesday is a great initiative in continuing education. Our field is ever-changing and the need to keep knowledge current is extreme,” CE Account Manager H. Herbert said. For more information about Webinar Wednesday, including all future presentations, click on the Webinars tab above.